A Class Act NY offers by audition and invitation only courses throughout the fall, winter, and spring semesters. All classes are taught by prominent Broadway actors and industry professionals and culminate in showcases for loved ones and Talent Reps. Submit a self-tape to be considered for ACANY’s advanced classes. Click here for self-tape guidelines and see below for what we’d like you to prepare. Payment plans are available, please contact us for more information! 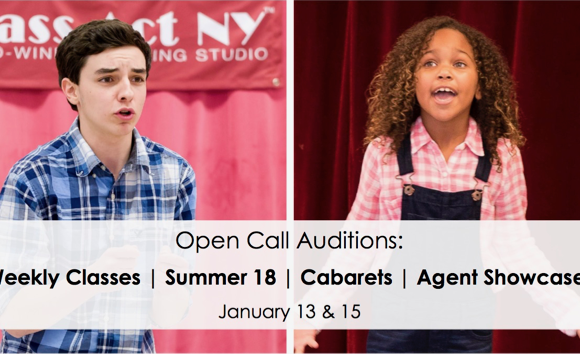 OPEN CALL AUDITIONS: Advanced Programs, Cabarets and Agent Showcases! Ages 7 – Adults! Saturday Jan. 13 & Monday Jan. 15 (No School - MLK Day)! Ages 10 – 18 (scenes split by age) | Sunday Apr. 15, 22, 29, May 6, 13, 20! Video Audition Instructions: Please perform a one-minute monologue from a play. Monologues MUST be memorized. If you need help finding a monologue, please contact our office. Click here for self-tape guidelines and video submission instructions. Video Audition Instructions: Please sing 32-bars, a cappella, of a musical theatre song that is age appropriate. Click here for self-tape guidelines and video submission instructions. Bring in your go-to audition cuts and have the chance to hone your skills for the first three weeks of class. If we think there are better song choices for you, we will guide you in finding appropriate pieces that will showcase your unique personality and vocal range. 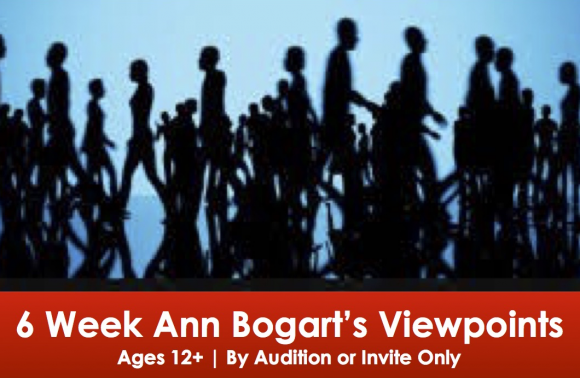 Students will learn about Ann Bogart’s approach to acting, viewpoints, which is where an actor utilizes their body and pace to create meaning. They will utilize the 6 viewpoints: space, time, shape, emotion, movement, story to create their own pieces and apply them to monologues and scenes. At the end of the 6-week session, students will present their scene work to family, friends and a few Talent Reps! 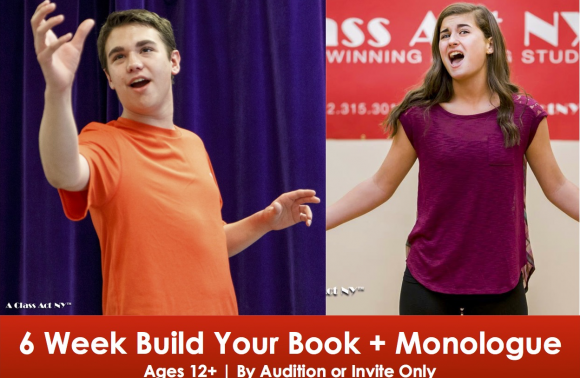 In this intense and challenging 6-week course, students will work on three major components of acting: musical theatre audition technique, acting through song, and in depth monologue work. Sold Out! Join The Waitlist! We may be opening more spots! 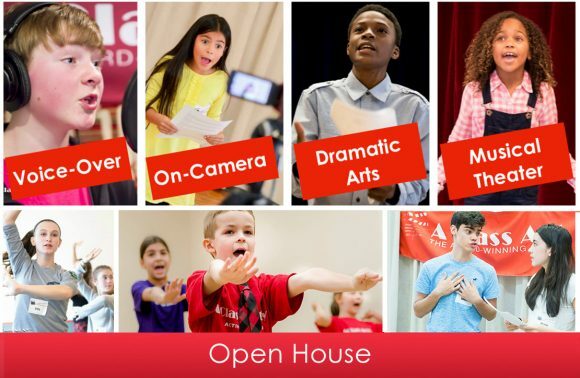 New students are invited to join A Class Act NY, the award-winning acting studio, for a FREE day full of activities! Work with some of our wonderful instructors, get all of your questions answered, and see what separates ACANY from the rest! Spend part of the day with us or the full day! 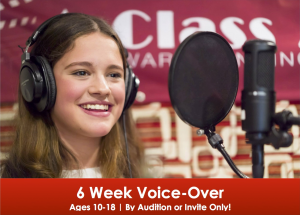 Sample an on-camera class, a musical theatre class, scene study and improv and/or a voice-over program! 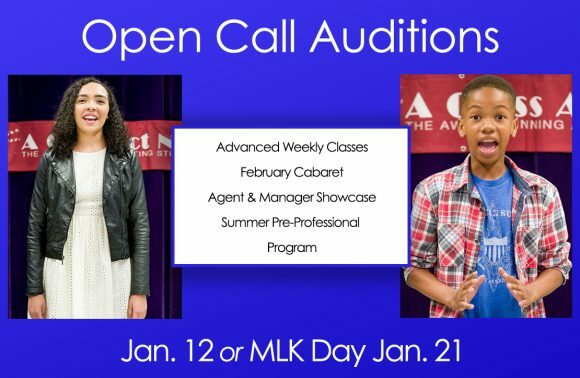 ACANY is holding auditions for our Advanced Weekly Classes, Agent & Manager Showcase, February Cabaret, and our Summer Pre-Professional Program on Saturday, Jan. 12 and Monday, Jan. 21 (No School – MLK Day). All Actors Must Prepare: One-minute monologue from a published play. Singers: If you are a singer, please sing 32 bars a cappella of a musical theatre song. • Note: if you are NOT a singer, please disregard this. 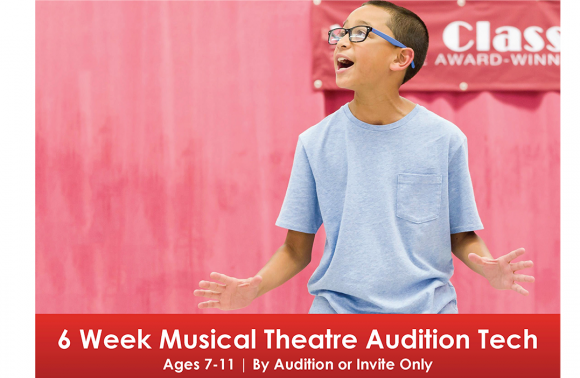 LEARN MORE or CLICK TO REGISTER for your FREE audition! 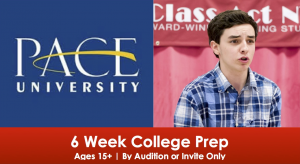 ACANY is holding auditions for our May Agent & Manager Showcase, Summer Pre-Professional Programs and Advanced Weekly Classes on Saturday, March 2. All Actors Over The Age Of 7 Must Prepare: One-minute monologue from a published play. All Singers Any Age: If you are a singer, please sing 32 bars a cappella of a musical theatre song.